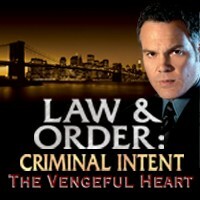 Step into an episode of the hit show Law & Order Criminal Intent and see if you have what it takes to solve a murder! In The Vengeful Heart, a bank executive has been found dead in his home. As Detective Goren, featuring celebrity voiceovers by Vincent D'Onofrio, you will survey the murder scene, use psychological tactics to interrogate witnesses and push the investigation to completion. Are you sharp enough to scour the crime scene, interview suspects and track down the killer? query: INSERT INTO accesslog (title, path, url, hostname, uid, timestamp) values('Law &amp; Order Criminal Intent: The Vengeful Heart', 'node/1470', '', '3.80.224.52', 0, 1556143964) in /home/surelion/public_html/drupal-4.6/includes/database.mysql.inc on line 66.